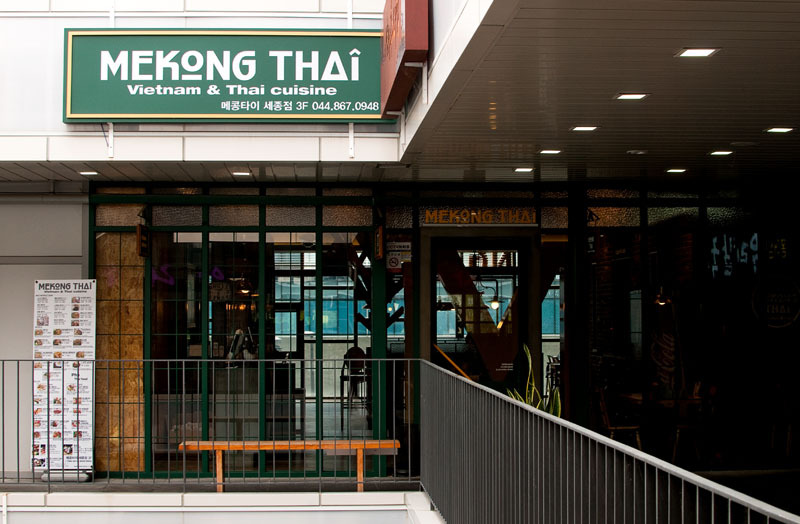 Mekong Thai is a chain Thai/ Vietnamese Restaurant located near the Sejong Lake Park. 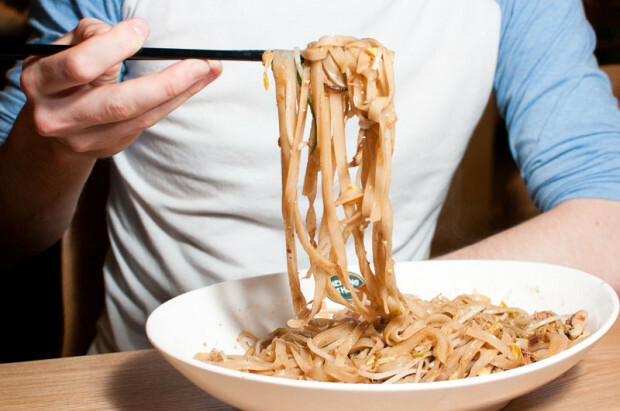 Until Mekong Thai arrived in town, we had been satisfying our cravings for Thai food with the single Pad Thai dish offered at the Ming Chinese restaurant near Cheotmael 1-danji Apartments. Since the arrival of Mekong Thai, we can now enjoy an assortment of noodle dishes, curries, pho dishes, and Vietnamese spring rolls. Although the menu is a little bit on the pricey side compared to other restaurants in town, it’s worth it for the large variety of Thai food options offered. The Dish recommends the Pad See Ew and the Thai Red Curry. 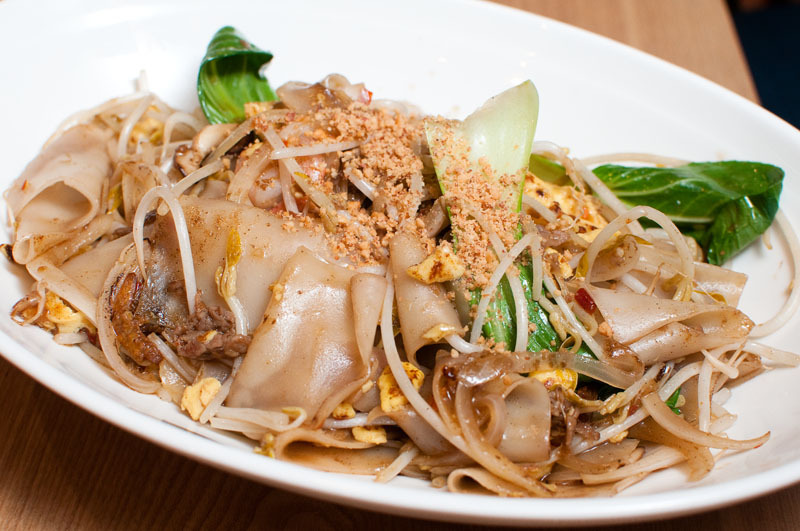 Pad See Ew is a noodle dish similar to Pad Thai, except with flat noodles and a soy based sauce. Although there are not many vegetarian options, you can easily request no meat in the noodle dishes and there are also seafood options. In addition to Thai food, there are also several Vietnamese options on the menu, including pho and Vietnamese spring rolls. Mekong Thai is located in the same building as Cafe Apill on the third floor. The restaurant is quite spacious, so it can easily accommodate large groups over 10 people. But there are also plenty of smaller tables if you want to come by yourself. 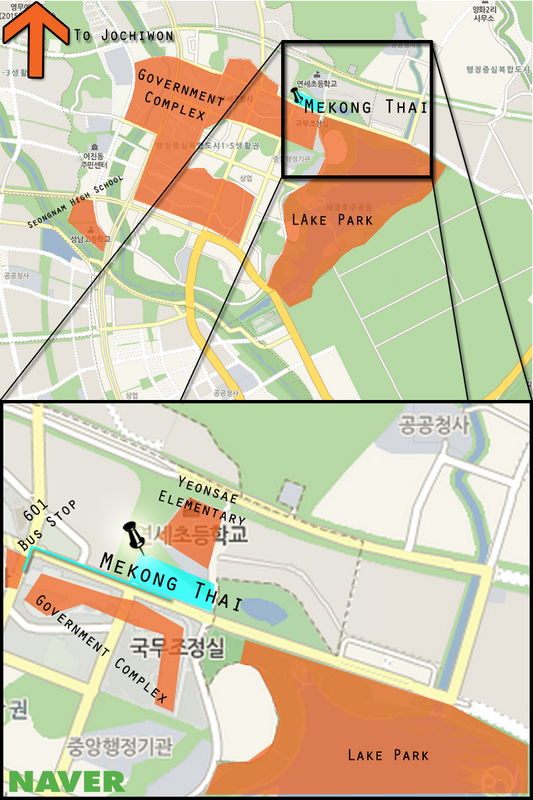 Directions: Take the 620 or 601 bus to Sejong. On the 601, get off at Gongjeong-georae-wui-wonhee (공정거래위원회) stop. Walk west, away from the government complex. 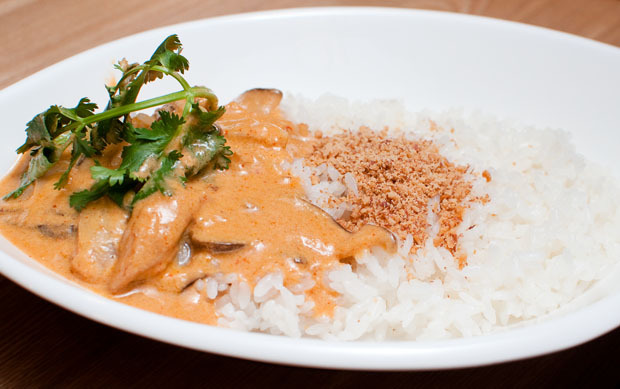 Once you pass a Starbucks, Mekong Thai will be in the next building to your left. It is on the third floor. On the 620, get off at the Handolmaeul Apartments (한똘마을아파트) bus stop, which is right after the Sejong Lake Park stop coming from Jochiwon. Mekong Thai will be located in the building closest to the bus stop.